Not week goes by, it seems, that there's not some sort of beer and food pairing event going on somewhere here in the Metroplex. Beer dinners, in particular, are a virtual staple in weekly event listings, with cheese pairings not following too far behind. 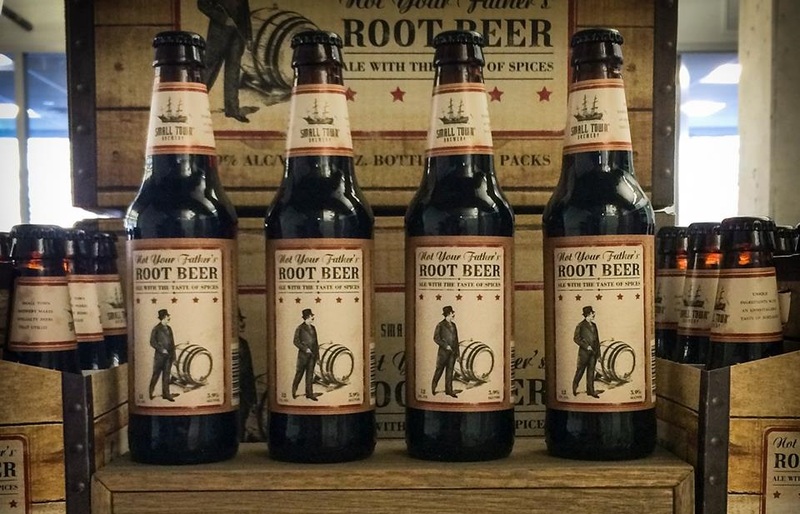 Lately, we've even seen donuts thrown into the mix, perhaps being a sign that consumers are open to a little something different when it comes to enjoying their favorite craft beers with food. Along those lines, three local business are coming together for an event they're calling the Summer Sampler. Born of an idea they came up with in March while participating in the NARI Home and Garden Show in Plano, the owners of Franconia Brewing Company, Local Yocal Farm to Market and Dallas Caramel Company thought consumers might enjoy their fresh, quality offerings even more if they could enjoy them together. Beefy grass-fed hanger steak and a creamy orange caramel. Krautwurst sausage and a Texas-style caramel turtle called the Armadillo. In addition to Wehrmann, Matt Hamilton of Local Yocal and Rain McDermott of the Dallas Caramel Company will also be on hand to answer questions and provide insight into their product offerings. 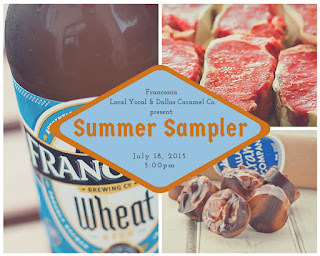 Tickets for the Summer Sampler are $40 per person (all-inclusive, no fees), and can be purchased on Eventbrite by way of the following link: https://www.eventbrite.com/e/summer-sampler-tickets-17499749221. 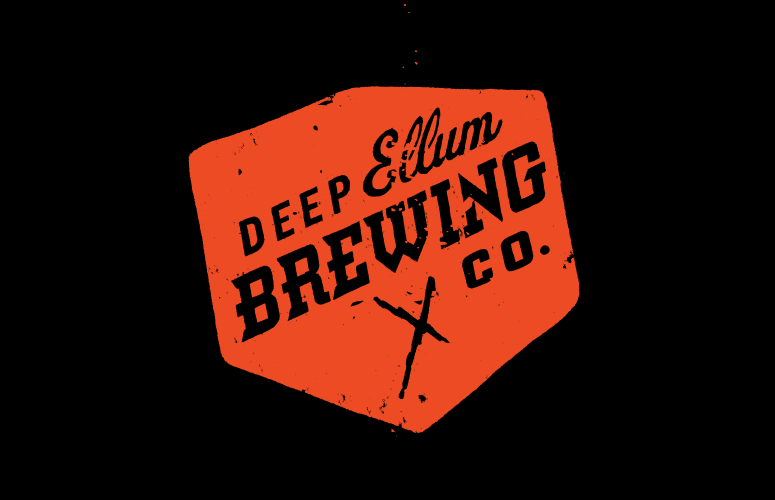 With dedicated growler fill stations popping up here and there on the eastern side of the Metroplex, it was just a matter of time before one got started out west. 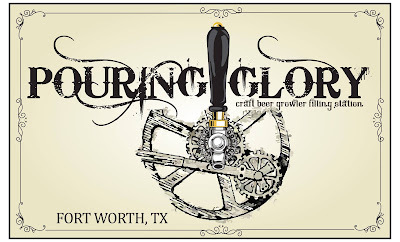 Though, in this case, Fort Worth's new Pouring Glory will bring something else to the table besides just beer. We're talking food for hungry patrons prepared by chefs in an onsite kitchen, making the concept the first to add elements of a quick-service restaurant to a growler shop offering beer-to-go. Pouring Glory's ownership group consists of Kevin and Julia von Ehrenfried, along with Scott and JoAnn Glover. The two men each bring well over 25 years of food industry experience to the project, and they are both chefs in their own right. Von Ehrenfried began his career in 1986 and has spent the last nine years as Director of Operations for Humperdinks, while Glover got his start roughly a decade sooner, eventually going on to oversee the West Coast expansion of the Dallas-based Chili's restaurant chain during the mid-1980s. 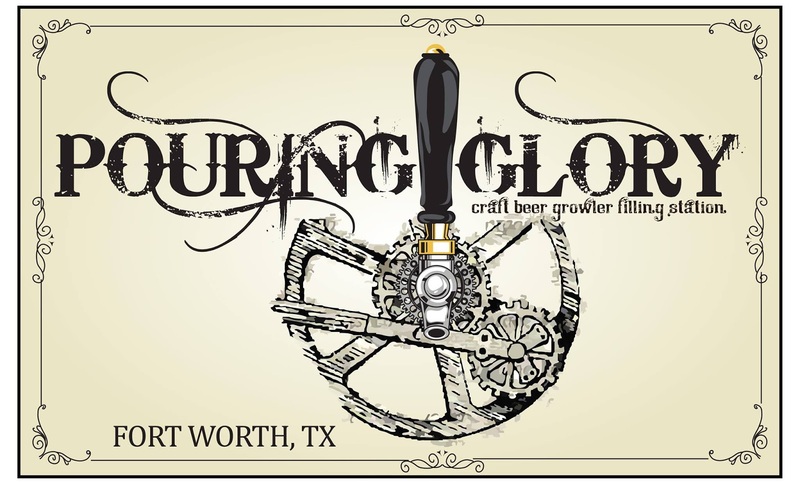 As for their new venture, Pouring Glory will be located at 1001 Bryan Avenue in the Near Southside neighborhood of Fort Worth. The spot is a mere four blocks away from Rahr & Sons and less than a mile from the Collective Brewing Project and soon-to-be HopFusion Ale Works. 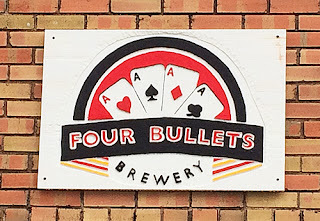 Commenting on the site selection, von Ehrenfried indicated that the choice had as much to do with being close to local breweries as it did "being able to be a big part of the revitalization of the area." The structure that exists on the site was originally built in 1943, though it was most recently home to a nightclub. Once renovations are complete, the building "will have an industrial motif consisting of exposed brick, gears, gauges and pipes," or the look of "Steam Punk," according to von Ehrenfried. The 2100 square foot space will house a bar serving fresh craft beer and wine, for on or off-premise consumption, as well as a display kitchen cooking up house-smoked barbecue, gastro pub-style fare and daily chef specials. Naturally, given the culinary aspect of the business, they'll hold the occasional beer and food pairing, but as far as onsite gatherings go, von Ehrenfried says they'll strive to become an integral part of the Fort Worth community by hosting events for charity as well. In addition, they hope to get out and meet neighbors, if you will, by offering catering services for offsite functions nearby. 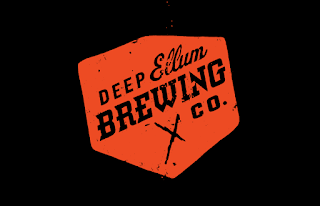 Regarding beer selection, upwards of 50 beers will be on tap at any given time, and while Pouring Glory will highlight local breweries whenever possible, their focus will be on trying to stock the best beers available, whether they be from North Texas or other parts of the country. "Southside Fort Worth is quickly becoming a hub for craft beer," notes von Ehrenfried, and the excitement it generates is something he and his partners want to be a part of. Overall, those behind Pouring Glory hope that they've developed something that will be well-received by craft beer consumers. They recognize that growlers are a growing trend, but they believe the addition of food service will help to set them apart from the rest. 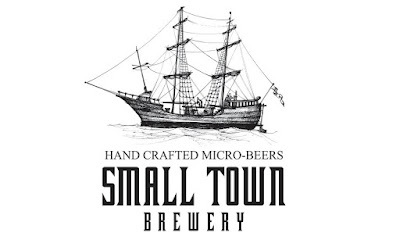 In the end, it's all about creating "the perfect concept to deliver great craft beer and food to the community in a fun and casual atmosphere." Currently, construction is still ongoing, so there's still a bit of work to do before they can open. Until they do, stay up-to-date on Pouring Glory's progress by way of updates to their Facebook page as they target a late August or early September debut. Image credit: Ivanhoe Ale Works. 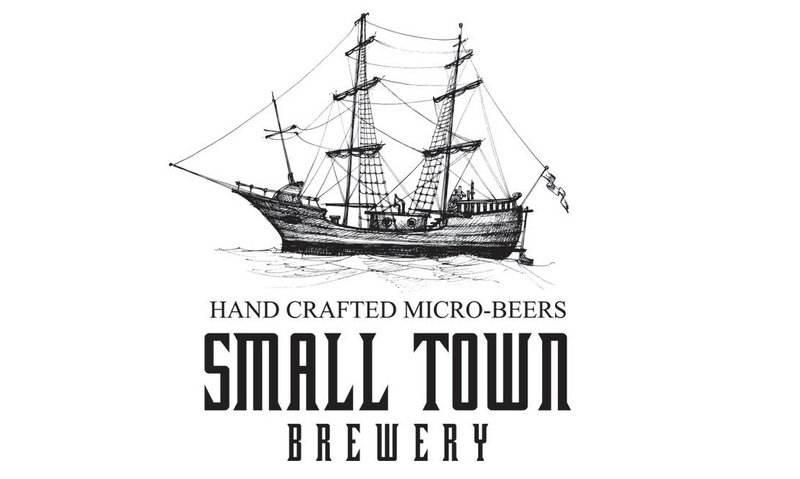 Despite a vague 1896 reference to one being within its borders, there's nothing to suggest that the City of Denison has ever been home to a brewery. In the late 19th century, local beer depots were commonly referred to as breweries, even though most did little more than serve as a warehouse and distribution point for out-of-town beer companies. Denison had two such entities in the late 1890s, one owned by the Texas Brewing Company of Fort Worth and another owned by Anheuser Busch. Taking the above in the proper context, it seems safe to say that Denison's first production brewery now exists in the form of Ivanhoe Ale Works, which opened in late May and is situated in the city's downtown. Almost literally carved out of a 6000+ square foot building dating back to the late 1800s, the brewery's location at 220 W. Main Street was formerly a movie house known as the Star (1913) and later the State Theater (1948). It's got a new roof and a new floor, but the exposed brick, beams and more are a reminder that this is a place with some history. Gabe Parker and Johnny Wells are partners in the venture, which shares space with a tasting room for customers of Parker's Homestead Winery next door. Taken together and billed as a brewinery, it's the first business of its kind in the State of Texas. 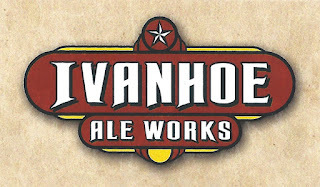 As for the brewery's name, Ivanhoe refers to Parker's Texas hometown. It's there that he lives on his 100 year-old family farm, where he also operates the main production facility for his Homestead wines. Ivanhoe Ale Works in Denison (Brian Brown, click to enlarge). Wells serves as Ivanhoe's brewmaster, utilizing tools of the trade manufactured by The Criveller Group. His startup system consists of a ten-barrel brewhouse, backed by a set of three twenty-barrel fermenters. He's also running a twenty-gallon pilot system off to the side, which he uses to do a fair amount of experimentation. Test batches typically get split equally into four five-gallon carboys, where Wells tries out different yeasts and souring cultures. Once fermentation is complete, he'll sample each finished beer on its own, then mix them all together to see if the sum ends up being better the parts. Thus far, though, Ivanhoe has stuck to serving up relatively classic styles. During my visit, the featured beers were Dizzy Blonde, Red River Ale, Knight's Latte Stout and Ivanhoppa IPA. The red was probably the best of the bunch, being malty and full-flavored with a bright, bitter hop finish. As for the IPA, Wells says he's still tinkering with the recipe, and he may rotate the hop varieties on a regular basis. And the stout? It's a beer with a flavor profile perhaps best described as "hop chocolate," and one that might eventually spend time in sherry barrels the brewery has stacked behind the bar. 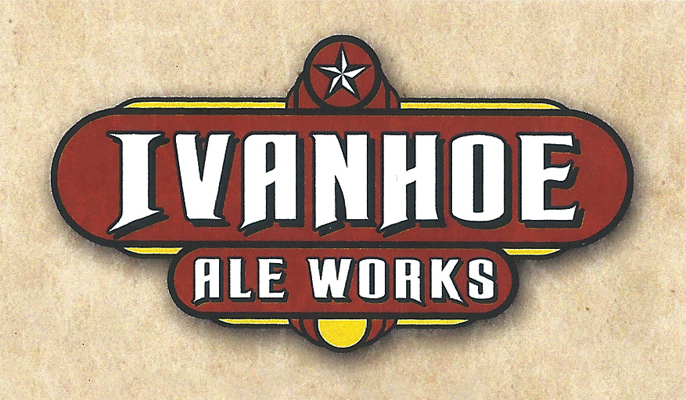 Regarding distribution, for now you can only get Ivanhoe's ales at the brewery. That said, Wells indicated they do intend to deliver kegs to the northern reaches of the Metroplex at some point in time. Retail outlets they're likely to service include Choice Beverage in McKinney, Lone Star Taps & Caps in Lewisville, and S&K Beverage in Plano. Others, as well as draft accounts, are still to be determined once they brew enough stock to share. Until then, you'll have to make the trip to Denison, where Ivanhoe is open every Saturday from 1-4 p.m.